Ascend high into the hills of Himachal as you explore the lovely hill town of Shimla and experience North Indian lifestyle at its best. Begin and end in Delhi, a convenient flight from most any international or domestic location. Then board one of India's most beloved trains as you glide past glorious landscapes of green, blue, and white as you climb higher toward Shimla. Upon arrival in this quiet village, you can hear the prayers at temple or meditate in a beautiful garden. For the adventure-lover, there are plenty of sporting and recreation activities to enjoy, such as trekking, skiing, and horseback riding. 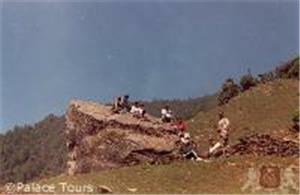 There is also ample time to admire Shimla's British-era history and stupendous panoramic views on this 3-night experience. 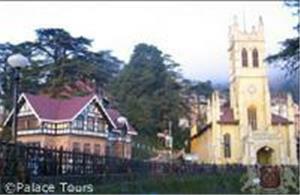 Take a deep breath and marvel at the beauty and Wonders of Shimla. Early this morning you are met by a Palace Tours representative either at the Delhi International Airport or at your hotel. Transfer to the railway station to board the Delhi / Kalka Shatabdi Express train to Kalka. Receive assistance at Kalka railway station to connect to the Toy Train to Shimla, where you are met upon arrival and transferred to your hotel for check-in. Spend your evening at leisure and enjoy your overnight stay at the hotel. After breakfast at the hotel, embark on your full day sightseeing tour of Shimla. Visit Kali Bari, a temple dedicated to the Hindu goddess Kali and then move on to Jakhoo Hill, the highest peak in Shimla at 2455 m, which offers a panoramic view of the town and is home to Jakhoo Temple dedicated to Lord Hanuman. Later, enjoy a scenic walk from Summer Hill to admire the 67-meter-high Chadwick Falls. These picturesque falls, surrounded by thick forests, are situated at about 7 km from the city at a height of 1586 metres. 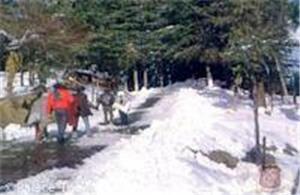 The Glen Forests with their refreshing ice-cold stream boast some of the most wonderful picnic areas in Shimla. Today's tour ends with a visit to Christ Church and the shopping center on the Mall Road. Return to your hotel for an overnight stay. Enjoy breakfast at the hotel and drive for about 30 minutes to Kufri, a tiny hill station that is famous for its trekking and hiking trails, nature parks and picnic spots. Adventure-seekers flock to Kufri in the winter to enjoy skiing and tobogganing along its snow-covered slopes. Continue your journey with a visit to the Indira Gandhi Holiday Home and onwards to Fagu to explore the nature trails and fruit orchards. Return to Shimla later this afternoon and stay overnight at the hotel. After breakfast, check out of your hotel and transfer to the railway station to board the train to Kalka. Receive assistance upon arrival in Kalka to board the train to Delhi. Upon arrival at Delhi, transfer to the airport to board your flight to your onward destination or transfer to your chosen Delhi hotel. This tour can be scheduled to accommodate your chosen departure date. A surcharge may be applicable for departures during Christmas and/or New Year. What is the weather like in Shimla? The average temperature during summer is between 14 and 20 degrees Celsius and between -7 and 10 degrees Celsius in winter. Please prepare your packing list accordingly. What is the travel time between Delhi and Shimla? The Shatabdi train between Delhi and Kalka takes approximately 4.5 hours. 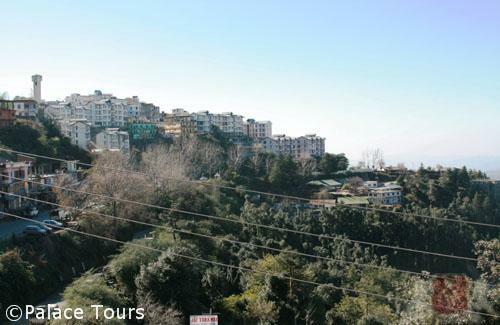 The "Toy Train" between Kalka and Shimla is approximately a 5-hour trip with wonderful scenic Himalayan views. Please describe the facilities on board the trains to/from Shimla. Both trains are public trains with padded seats, air conditioning, and restrooms (Western style on Shatabdi train, Indian style on the Toy Train). Please note that guests must carry their own toilet tissue, as none is provided. Are there opportunities for meals on board the trains? Complimentary breakfast and one bottle of mineral water is served on board the Shatabdi train. If you prefer, a boxed lunch may be obtained before leaving your hotel in Shimla or Delhi, as it is not advisable to purchase lunch on the train platform in Kalka. Gratuities are solely at your discretion, and should reflect your enjoyment of the journey and your satisfaction with the quality of service provided. As a general guideline, per day, a tip of $10 for the driver and $5-$10 for the guide is appropriate. 1Do I need a Visa for India?